← Barrier to Justice: Could Rwanda Prevent Ntaganda from Reaching The Hague? In the end, the fears that Rwanda might “inhibit” the transfer of notorious rebel leader Bosco Ntaganda from the US Embassy in Kigali to the International Criminal Court (ICC) in The Hague did not materialize. “The Terminator” is on his way to the ICC. 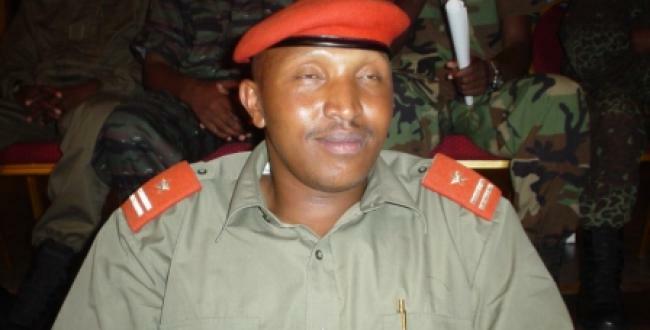 Just days ago, a delegation from the ICC arrived in Rwanda to facilitate Ntaganda’s transfer. Today Ntaganda left the US compound in Kigali in a convoy of cars headed for the airport in Kigali. He was then loaded onto a private jet bound for The Hague. He should arrive in the Netherlands in approximately 8 hours if the flight is direct. Ntaganda will be reunited with his old ally, Thomas Lubanga, in the ICC’s prison facilities in Scheveningen. According to a tweet by Rwanda’s Foreign Minister Louise Mushikiwabo, Ntaganda’s transfer was the result of cooperation between the United States, Rwanda and the Netherlands. While it remains to be seen, it seems likely that the Dutch provided the aircraft to transport Ntaganda and the ICC delegation to The Hague. Under anti-ICC domestic legislation (The American Service-Members Protection Act), the US is prohibited from providing any funding in cooperation with the Court. This is the first time that a suspect has surrendered himself voluntarily to be in the ICC’s custody. The Court is grateful for the support and cooperation of the Dutch and American authorities, both in Kigali (Rwanda) and in the Netherlands. This operation would not have been possible without the support of the Rwandese authorities. Of course many pressing questions remain: why did the US sound the alarm in declaring its concerns that Rwanda would inhibit Ntaganda’s transfer to the ICC? Did Rwanda consider prohibiting Ntaganda from leaving Kigali? Why did Ntaganda surrender himself in the first place? Will he speak to his relationship with the government of Paul Kagame? The answers to these questions will hopefully become clear in the coming days. This entry was posted in Democratic Republic of Congo, International Criminal Court (ICC), Rwanda, United States and tagged Bosco Ntaganda, M23. Bookmark the permalink.